Astor House | What's Happening in Golden? 6PM – The Golden Library Tuesday Night Book Group will discuss Neverhome by Laird Hunt. The Local Licensing Authority will meet on today at 2PM in City Council Chambers. Origin Red Rocks Hotel has requested to change the name for “Registered Manager.” The former Maki Sushi & Grill at 1301 Washington, which has changed its name to Okinawa is requesting approval to change the layout of the kitchen and restaurant. See the meeting packet online. The Parks, Recreation, and Museums Advisory Board will meet tonight at 7PM in City Council Chambers. North Neighborhoods resident Tom Schweich will present a survey of condition and plants on a piece of ground informally known as the “Upper Washington Avenue Open Space.” They will also hear an update on the Lubahn Trail and discuss fees and charges for Golden park facilities. See the meeting packet online. What’s Happening with the Astor House? The Astor House Museum was closed in 2015 for a structural rehabilitation. While it was closed, museum staff decided to repurpose the museum from serving as a reminder of Golden’s past to being a more general museum of boarding houses in America. They later explored the possibility of using it as a Beer Museum. While the building was closed for rehabilitation, most of the contents of the Astor House Museum were sold. This meant that we could never go back to operating the Museum-that-was. The structural rehabilitation is done, so the building is now sturdy, but the inside remains gutted and unusable. The Museum staff doesn’t plan to operate it as a museum, and City Council and staff don’t want to pay to finish the building when they don’t know what they’re going to do with it. Last year, the City released an RFP looking for ideas regarding how to use the Astor House. They received 5 proposals, and a small team has been reviewing them. The process has been conducted in secret; however, the Golden Transcript submitted a Freedom of Information request in February, and published the 5 proposals. The proposals include selling the Astor House to private businesses or leasing it. One proposal details plans for using the building as a museum. I hadn’t realized that the city still owned any Astor House furniture, but since they now propose to sell it, apparently they do. If you have any thoughts about the deaccessioning plan, you can address the Parks board during public comment at the beginning of the meeting or email citycouncil@cityofgolden.net. This Saturday (February 2) Foothills Art Center is offering a class: Painting Note Cards with Janet Nunn. Why paint note cards in February? A few reasons…a great way to learn different techniques in watercolor on a small format. The second reason, is it is nice to give a card for Valentine’s Day, a Birthday, or just sending someone one of your original paintings. In this class participants will learn how to make note cards using various watercolor techniques, splattering, negative space painting, masking, layering paint and more. All in one class. Grab a friend a make a fun day out of painting note cards. Learn more and register…. If you’re interested in Golden History (or old buildings), you should follow Rick Gardner’s Historic Golden Colorado facebook page. He often posts interesting photos and stories about Golden History. A few days ago, he posted a bunch of photos showing the interior of the Astor House in its current state. If you’ve been curious about what’s in there now, check his page! Wondering what’s happening with the Astor House? The City put out a Request for Proposals, asking for ideas of what to do with it. Five proposals were received and a committee is reviewing them. The proposals have not been released for public review. The committee will make a recommendation to City Council sometime later this spring. The Golden History Park (formerly Clear Creek History Park) is offering a Homesteaders’ Day today. Drop by the park any time between 10AM and 2PM to experience 19th century homesteading, explore the historic cabins, try woodstove cooking, learn about blacksmithing, and take a lesson at the one-room schoolhouse. This is a free event. At 3:30, the Golden History Roundtable meets at the Library. There are a few people from Golden’s pioneer era who are highlighted again and again–particularly William Loveland, Edward Berthoud, and George West. Those guys were all incredibly important to Golden’s founding, and they deserve all the attention they get, but there were other, equally important founders. One of these was Charles Welch. Welch was active in the industries that put Golden on the map, including mining, railroads, irrigation, and real estate development. He donated the land for the Golden cemetery and for the first Colorado School of Mines building. The Welch’s Addition neighborhood (approximately 19th-24th, Ford to Cheyenne) was his doing, as was the Welch Ditch that bisects our town. Councilor Paul Haseman has been researching Welch and will tell us all about him! Note: Yesterday I said the roundtable would meet at 2:30. We’ll meet at 3:30! The #1 thing most needed by homeless men, women and children is NEW socks. Drop off unused socks during the month of November at the Golden Visitors Center (1010 Washington), Golden City Hall (911 10th St.), and participating schools and churches. During Thursday night’s City Council meeting, the City Manager mentioned that they had received 5 proposals for redevelopment of the Astor House. No word yet as to the content of the proposals. 2PM Mines Symphony Orchestra and Jazz Band Concert at the Golden Ford Building, 6th & 19th Street. City Council meets tonight at 6:30 in City Council Chambers for a study session (no public comment). They will review the RFP for the Astor House. The City is unsure what to do with the Astor House, so they plan to release a Request for Proposals to gather ideas. If they decide to sell the building, they will need to have citizen approval. They will hear from Anderson Hallas Architects regarding a space study, defining the needs for City Facilities. They will receive a status report on the broadband feasibility study. City staff will provide an overview of statewide ballot issues. After the study session, they will go into an executive session (no public, no cameras) to discuss “strategy for negotiations; and instructing negotiators regarding (i) Ulysses Street and South Golden Road Right of Way, (ii) CSM relations intergovernmental agreement, (iii) State Highway 93 at Golden Gate Canyon Road, (iv) Clear Creek west of Ford Street, (v) lower North Table Mountain, and (vi) surplus CDOT right of way near West Colfax Avenue and Heritage Road.” The executive session will also cover “potential litigation pertaining to lease disputes at the Golden Visitor Center.” Learn more…. Period Six Studio is having their Adult Coloring Night from 6-8PM tonight. Bring a friend and your skills and they’ll supply the frills… aka things for you to color, drink and snack on! 720 Golden Ridge Road, #B, (map) 303-278-2150. The Library’s DIY Lab is open from 5:30-7:30PM today. Tinker, re-imagine and invent! Drop in and use our DIY space to get creative. Try a variety of tools including sewing machines, a serger, Dremel™, Silhouette Cameo™, button maker, soldering irons, hand tools for fiber crafts, LEGO™ Mindstorms (and other robotics), and Arduino™. All ages are welcome during our weekly open lab. Children under 12 must be supervised by an adult as it is a mostly self-directed program. The Jeffco Public Schools let out early tomorrow so the Golden Library will fill in the time gap by offering Freaky Friday games, crafts, and Lego fun from 2-3:30PM. Members of We Are Jeffco will be hosting a Mill & Bond Campaign for 5A and 5B at New Terrain Brewing Company tomorrow night at 5:30PM. Donate more than $25 and get a free beer! Learn more at WeAreJeffco.com. The Community Center is closed this week, through Sunday, for annual maintenance procedures. The Splash leisure pool (the one with the slides) has closed for the season, but the lap pool will remain open through September 3rd (Mon-Fri, 6AM-6:15PM and Sat & Sun 10AM-6:15PM). The Parks, Recreation, and Museum Advisory Board meets tonight at 7PM in the Fossil Trace club house. They will discuss the RFP for the Astor House, which is scheduled for review by City Council on September 20th. The plan is to release an open RFP for anyone to respond to, so the city can see what kind of ideas are out there–for business or municipal projects. The City Attorney has said that if the purpose of the building is to change dramatically (like if it was to become a commercial building), it would have to be put to a vote. They will also plan for a public meeting to be held on August 28th regarding the proposed Singletrack Sidewalks (STS) project through the southwest corner of town. This is a highly-disputed subject, as you’ll see in the Tell Us What You Think section on Guidinggolden.com. This is the LAST DAY to buy tickets to Foothills Art Center’s Glitter in the Garden. This fabulous event will be held this Friday in the Art Center’s beautiful new courtyard. It includes dinner, live music, and a chance to acquire some beautiful artwork. This is their biggest fund-raiser of the year, so even if you can’t make it to the event, consider making a donation. Jefferson County is looking for adults 18 and older to plan, lead and instruct 4-H Science, Technology, Engineering and Math (STEM) programming in area schools. These part-time, limited term positions are affiliated with AmeriCorps, a Corporation for National and Community Service program, and include a living allowance and an Education Award when completing the maximum 900-hour, one-year commitment. Learn more…. Don’t forget tonight’s 6-8PM open house at the county courthouse regarding Jefferson County’s growth plans/Comprehensive Plan. Learn more…. The moon will be full at 5:31 this evening. Moonrise is at 5:44PM, so it should be a spectacular site as it rises over South Table Mountain. The Local Licensing Authority meets this afternoon at 2:30 in City Council Chambers. They will review a transfer of ownership application for the Courtyard Inn and Residence Inn. Bono’s Italian Restaurant has also submitted an ownership transfer application. The Foss Company has applied to have the liquor license for their building at 1224 Washington Avenue transferred from YDF Enterprises to the Foss Company. Learn more…. The Sustainability Board will hold their Board Retreat from 3-9PM today at Fossil Trace. They will discuss their strategic vision and identify 2-3 priorities, map out a work plan, and discuss ways to transmit historical knowledge from long-time board members to new members. Learn more…. Second, I over-simplified a discussion item about the Buffalo Rose. In October, the DDA approved a tax increment agreement with the Buffalo Rose that will result in their being reimbursed “up to $250,000 plus interest” of property tax by the city. Last night’s agreement was a “Collateral Assignment Agreement,” which said that the reimbursement money would be paid directly to the bank that made the construction loan, rather than going to the Buffalo Rose. I thought that was a bit more detailed than people wanted to know, so tried to simplify it by saying they were “reviewing the reimbursement agreement.” But now you know! It’s a “Collateral Assignment Agreement.” For details of the reimbursement, check the October meeting packet, and for details of the “Collateral Assignment Agreement” check last night’s packet. They’re both available on the city website. The DDA had also planned to consider a $58,500 sales tax incentive agreement in December of 2017, but that one is on hold for now. For those who aren’t as interested in City business as I am, you’ll want to know that the Library is having Ukulele Wednesday tonight from 6-7:30. Dirty Dogs Roadhouse is hosting Tony Rosario Wednesday Night Wiggle starting at 6PM. The Rock Rest Lodge has Dave Frisk starting at 6PM. Tomorrow night (Thursday March 1st) the Friends of the Colorado School of Mines Geology Museum “First Thursday” Lecture Series Presents….”The Boulder County Tungsten District” by our guest speaker Ed Raines, Curator and Collections Manager, Colorado School of Mines Geology Museum. Socializing and munchies start at 6:30 and the lecture starts at 7 at the Ben Parker Student Center, 6th & Maple Streets, Golden, CO (map). Learn more…. The Astor House lecture is also tomorrow night. That one will run from 6-7:30 at the Golden Community Center. Learn more…. Jeffco Open Space will host a Trails Talk tonight from 6-7:30 in their office. Learn more…. The Parks, Recreation, & Museums Board will meet tonight at 7PM at the Community Center. Representatives from the police department will be there, to join the ongoing discussion about park rules and safety concerns. Residents have expressed concerns about the influx of people who stay in the parks for prolonged periods of time, sometimes setting up tents and effectively camping in city parks. The board will also discuss the project to install single track sidewalks (dirt bike paths). According to the minutes from the January meeting, the city will remove the garage and house from the newly-acquired DeLong park-to-be on 23rd Street and may start the process of turning it into a park with a sign, some tree-trimming, and a couple of benches. The Planning Commission will have a study session (no public comment) tomorrow night at 6:30 in City Council Chambers. They will be discussing Short Term Rentals. This is part of an on-going discussion of how Golden should regulate short term rental properties, variously defined as tourist homes, vacation rentals, AirBnBs, VRBOs, etc. Our current regulations vary by zoning, whether the property is owner occupied, the length of the rental period, and other factors. Some Golden residents resist the idea of their neighborhoods becoming hotels, while others like the idea of generating rental income from their own property. Owners of Bed and Breakfasts, which are subject to stringent health and safety codes, taxes, and liability, are concerned about the influx of competitors who aren’t subject to any of those safeguards. City Council meets Thursday night at 6:30 in City Council Chambers. They will approve a contract for $1,055,000 for concrete replacement in 2018 and another contract for $1,685,170 for asphalt replacement during 2018. The regular meeting will be followed by a study session. They will meet with Golden-based Anderson Hallas Architects, which has been hired to study the city’s future space needs. Council will then discuss the future of the Astor House. The Astor House, built in 1867, was saved from demolition in 1972 and was furnished and operated as a museum by the Golden Landmarks Association. The City took over operation of the museum in 2010. In 2015, the City received a $200,000 grant from the State Historical Fund to do structural rehabilitation on the old building, so the Museum was closed for that work. The City then discovered that “any changes or modifications to the entirety of the property and its use would be restricted by the Historical Fund for 20 years.” The City didn’t want the State to restrict what it could do with the property, so they turned down the grant and funded the $480,000 rehabilitation project itself. • Invest in interior finish as office space. • Invest in interior finish and use for specific departmental needs like museum’s Hands on History Summer Camp, lectures, programs and special events also serving as a venue for private weddings, meetings, and receptions. • Lease to other governmental/non-profit agency. Finish TBD. • Lease to individual or for-profit entity. Finish TBD. • Sell or give to other governmental/non-profit agency. • Sell or give to individual or for-profit entity. For more information about any of the meeting topics as well as live access to the meetings and recordings of past meetings, check the city website. The Railroad Museum is holding their Storytime and Craft this morning from 10-11. 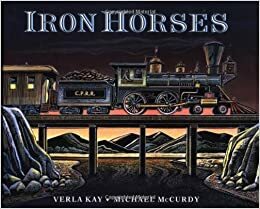 Today’s story is Iron Horses by Vera Kay. This event is good for kids aged 4-6. This is free for Museum Members and $2 for nonmembers with general admission. PranaTonic is offering Teen Yoga at 3PM today, open to teens aged 13-18. New Terrain Brewing Company will host Yoga on Tap from 6-7. The Golden Library has their Tuesday night book group tonight from 6-7. They’ll be discussing The Glass Universe: How the Ladies of the Harvard Observatory Took the Measure of the Stars by Dava Sobel. City Staff thought yesterday’s description of the Astor House’s status was inflammatory, so here’s the exact wording from last month’s meeting minutes. In summary Rod explained that there would not be money budgeted for Astor House in the CIP process. Furthermore, there was not support for a beer museum. He stated that as of now it would remain in the City’s portfolio of assets. He indicated that staff needs to show what is required to bring the property to a minimum level of integrity. Per the consultants, it would be approximately $500,000 – $1,000,000. Currently, there are funds in municipal facilities budgets to reroof. Amirah asked if there were funds available for studies to determine what to do with it. Rod confirmed that there are not funds set aside for studies at this time. The Jefferson County Fair starts today at the Fairgrounds (map). The 4H horse shows will be going from 8:30-5. This evening, they’ll be celebrating “Jeffco Homecoming.” You’re encouraged to dress for your favorite era–zoot suits, poodle skirts, neon, grunge… The Opening Ceremonies will start on the main stage at 5:30. Afterwards, they’ll have a magician, a science show, a reptile adventure show, and an eighties tribute band. They’ll also have mutton bustin’, pony rides, a petting farm, an outdoor adventure zone, and much more! The Fair runs through Sunday. Foothills Art Center is having a member preview tonight at 6 for their new show, Street Fonts and Funk. If you’re not a member, this is the perfect reason to join. An individual membership is only $35. Head to City Hall at 5:30 to help City Council & staff celebrate Golden’s commitment to the Paris Climate Agreement. They’ll have ice cream! The City Council meeting will start at 6:30. After the business meeting, they’ll have a study session. The History Museum has submitted the results of the study about whether to turn the Astor House into a beer museum. The study concluded that a beer museum would be a big attraction, but the Astor House is too small to house it. City staff does not think the Astor House should be re-opened as a museum–in fact, it can’t be, since the contents of the Astor House Museum have been sold. So for the present, the future of the Astor House is unknown. For more information, refer to the meeting packet.